Imec is een Vlaams hoogtechnologisch bedrijf uit Leuven dat onderzoek doet in nanotechnologie. Maandelijks brengen zij een digitaal magazine uit waarin je hun meest recente technologische ontwikkelingen leest. You have already seen references to Royal Assent in this unit. The monarch formally assents to a Bill in order for it to pass into law. Royal Assent has never been withheld in recent times. Queen Anne was the last monarch to withhold a Royal Assent, when she blocked a Scottish Militia Bill in 1707. The Queen feared a Scottish militia might be turned against the monarchy. 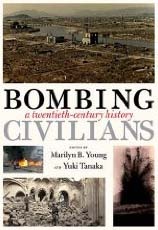 "Crime and Responsibility: War, Indiscriminate Bombing, and Mass Killing"
Cast iron is a brittle material and it is advantageous to process it in such a way to improve its ductility. The brittleness is partially due to the graphite flakes which act as nucleation sites for cracks. Therefore it is an advantage to have the graphite present as spheres. This can be achieved by a heat treatment regime or by the addition of a small amount of Mg which poisons the graphite growth directions. This key skill develops your number skills in your studies, work or other activities over a period of time. To tackle all of this key skill, you need to plan your work over at least 3–4 months to give yourself enough time to practise and improve your skills, to seek feedback from others, to monitor your progress and evaluate your strategy and present outcomes. Discover an elegant way to share your photos with family and friends. Create a photo book that you can print yourself or have professionally printed. Use with either Photoshop Elements version 7 or 8.